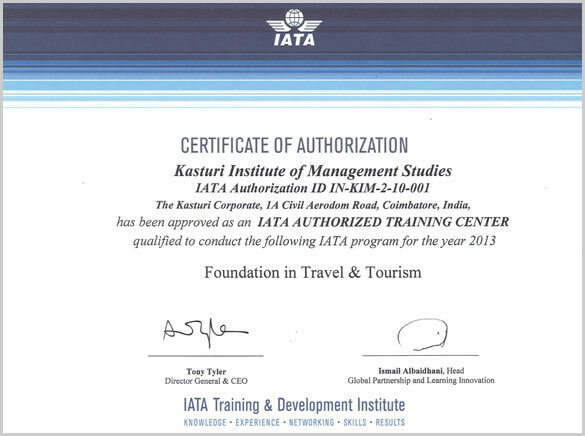 Kasturi Institute of Management being IATA AUTHORISED TRAINING CENTRE offers 6 months IATA Travel & Tourism to meet the global demand for trained and qualified travel professionals. 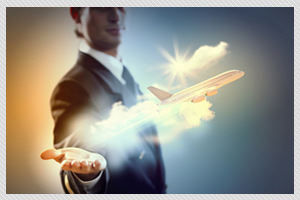 This course is approved by IATA and can be offered both full-time and part-time. Students who are willing to join the programme may register either for full-time or for part-time. The Travel & Tourism (endorsed by IATA) gives the student a strong competitive edge to start a successful career in the Travel & Tourism Industry. Why Get into Travel & Tourism? The advancement of technology, the growth of aviation and easy transport facilities and the opportunity to explore new places has enabled people around the world to travel more. This thirst to explore the unknown & the unseen has led to tremendous growth in the Travel & Tourism industry worldwide. In 2011, India attracted 8 million tourists (approx.) from around the world - a growth of 12.35% over the previous year (Source: Bureau of Immigration). Apart from traditional business and sightseeing-oriented travel, niche sectors such as medical tourism, cruises, backpacking, etc. too have taken off. The industry brings in huge amounts of foreign exchange; all currencies, from dollars to pounds to Euros, are brought into the country by international travellers. On the other hand, outbound travel from India is growing too. Every year, approximately 10 million Indians travel abroad, with an average growth of 16% in this number each year. Such growth has increased the demand for well-trained, qualified travel professionals to offer diverse services in this sector. The field offers excellent opportunities to build an exciting career where you can expect loads of travel, the opportunity to meet new people & make friends all over the world. Students who have successfully passed 12th Standard / HSC / 10+2 (or equivalent Level of Examination) from any recognized Board / University and have secured good grade of marks can join the IATA Travel & Tourism course. Kasturi Institute’s IATA Travel & Tourism is an intensive course that covers diverse modules and includes a job internship.